The occupation is listed in the MODL in Australia. That clearly defines its preference amongst the Australia employers and your brighter future chances associated with it. The eligibility criteria require the applicant to have a Bachelor Degree from a recognized institution. In some instances, you may be required to show a minimum experience of four years and minimum IELTS Band of 6.0 each. In case of non recognized degree, the applicant is required to have a minimum qualification of FA/FSc along with a minimum work experience of 8 years (required in some cases). The most critical aspect is to get a positive skill assessment from an authorized body like Australian Computer Society to know your suitability for a particular profession. To get a positive response, it a must to fulfill all the requirements including holding an appropriate qualification, having the necessary work experience, to name a few. It is essential to know that in a majority of occupations, the applicant is required to register or get a license from the relevant authority of the area from which he or she is planning to practice. 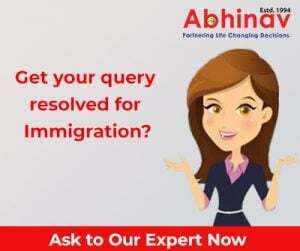 After getting a positive Skill Assessment, you can hire the services of a professional Immigration and Visa veteran who would further take care of your application process. Documentation for the Canadian Sponsorship Program!